Every parent wants the very best for their children. In pursuit of that goal, parents make enormous sacrifices and go to great lengths. Our trainers provide a friendly, fun, happy and stress free learning environment. Students love the fun way of learning and brain stimulating games. Our main objective is to enhance and balance the Students IQ & EQ after the training. 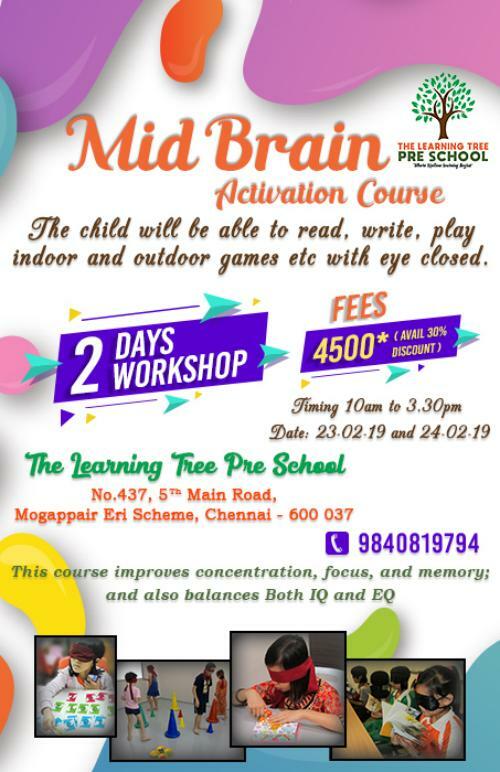 MidBrain activation training adaption age is 5 to 15 year because in this age it is easier to absorb new things and also it is easy to adapt to new ways of learning. Regardless of the child’s current academic standards, the MidBrain activation will further strengthen and improve their ability. If children can use their whole brain, this will help them to obtain higher success in their future. The children would have capability to do things with their eyes closed. With this intuition active, when the children grow up their right brain would remain active and not dominated by the left brain, providing they seriously practice it. So, nothing to wonder….this is the most spectacular method to activate the brain, and may be directly proven for its awesomeness after activation.